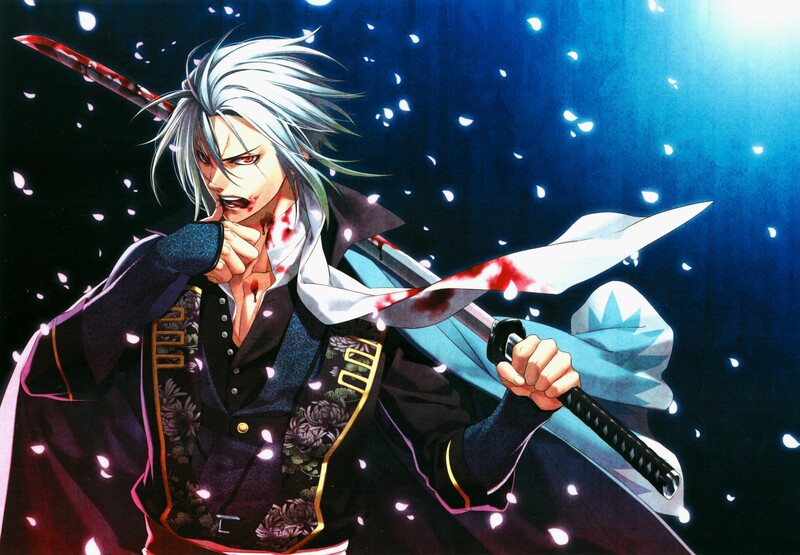 Here a awesome scan from the Hakuouki premium book. Please don't share this scan on Animepaper because i have an account there too. Amazing! I have never seen this one before, you just totally made my night. Thanks so much for sharing! Go Hijikata! Very pretty. Amazing scan! Thanks. I have to thank you againi too lol. Hijikata bloody... i want a saito and okita bloody too x3. I love this scan! Such cool movement, pose, expression, lighting, colors, design...wow. Awesome, he definitely looks like a baddy. He pulls off looking evil! wow, awesome scan. thanks for sharing. wow! super cool! the colors, character and everything about this scan are so amazing!